Please join me for a Valentine ATC (Artist Trading Card) Swap. This will be a 3 for 3 swap. Your ATCs must be in my hands by Friday, January 27th. and a printed mailing label. read all the rules and instructions. and sign up by leaving a comment. the swap button to help spread the word. Oh yes, I'd love to partake. Will help with these long cold winter days. Wonderful theme and colors. Thanks Kim. Please sign me up! I just sent you an email and came back to the blog and found out how to sign up. YES, I would love to participate! It will be fun <3 ! Please add me to the list! Loved the Vintage White Christmas ATC swap, and I'm ready for another. Thanks! I would love to join in Kim! I love your tags, dear Kim, and still have a Valentine tag, from you on display together with a photo of Henning and I :-) - but you are everywhere in my home, with your beautiful creations, sweet friend. Hi Kim, I hope I'm not too late to sign up. I'm going to start creating today. Hi, Sorry if I am posting twice. Please include me. I love your swaps! 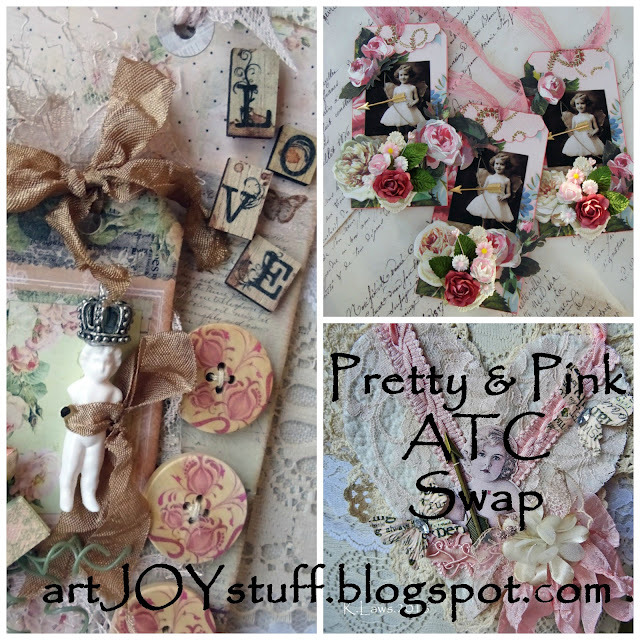 Hope it's not too late to sign up for the Pink ATC swap! Please add me to the list. I sent you off an email as well as this comment Kim. I will be delighted to join in this swap! Sign me up please Kim. I mailed my ATCs today, Kim. Had fun making them! Only 3 .o.k I'm in!!! Just finished mine up. Posted on my blog and hitting the post office today. Thanks Kimberly. My life is in turmoil right now and its nice to have a bit of normalcy in it. is it still too late to join? I've been looking everywhere for an Valentines swap. A new swap will be announced soon.